Saggio sulla soria naturale del Chili. Seconda edizione accresciuta e arricchita di una nuova carta geografica e del ritratto dell'autore. Bologna, Masi e comp., 1810. 4to. 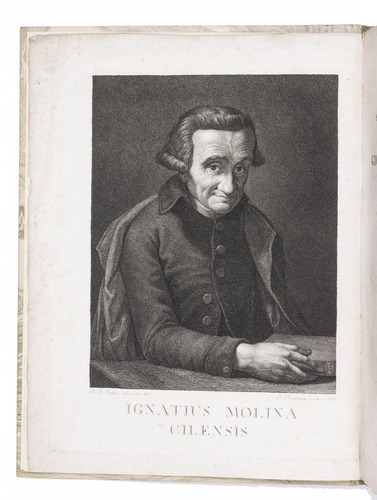 With an engraved author's portrait as frontispiece and an engraved map. 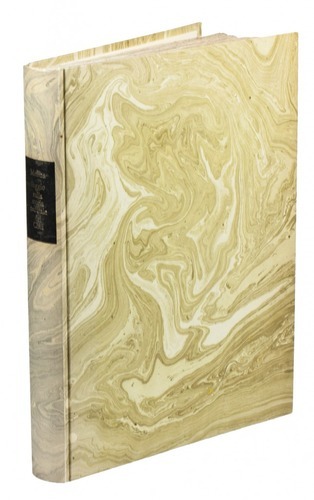 Modern marbled boards. 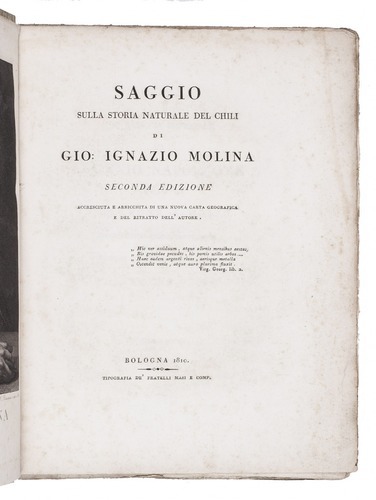 Second edition, in the original Italian, of a natural history of Chili, by the Spanish/Chilean Jesuit priest and historian, naturalist, botanist and geographer Juan Ignacio Molina (1740-1829). 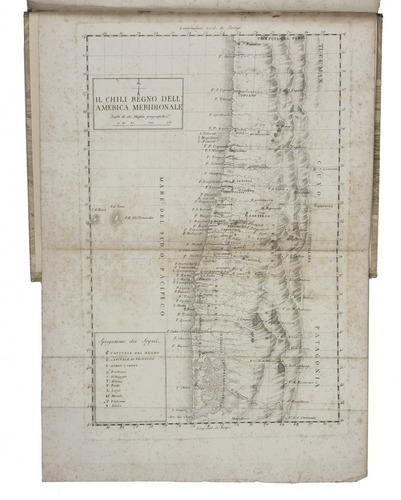 The main text is divided into four "books": the first devoted to the geography of Chile, the second to the minerals, the second to the plants and the fourth to the animals of Chile. 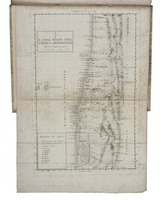 Included at the end is a flora of Chile. Some foxing and with ink marks on pp. 302-305. Otherwise in good condition, with wide margins.